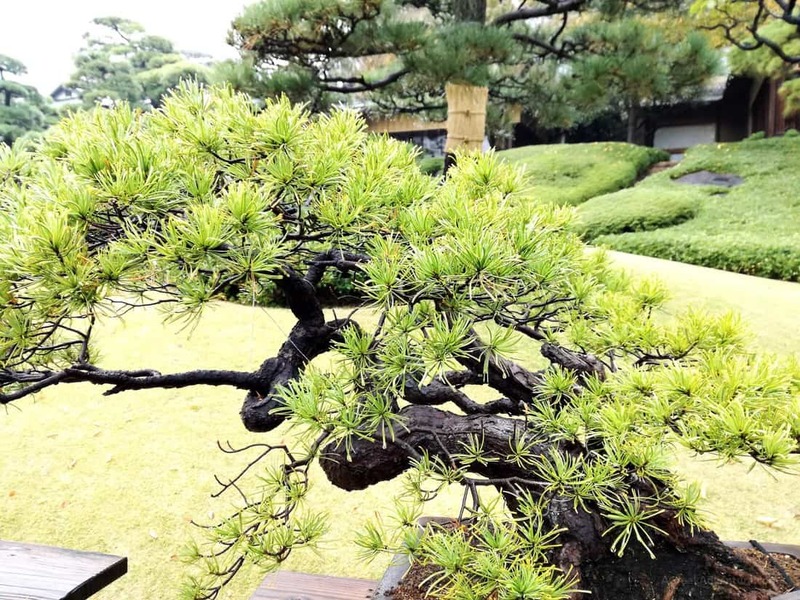 What are the 6 first things to do in Tokyo, Japan in one day? 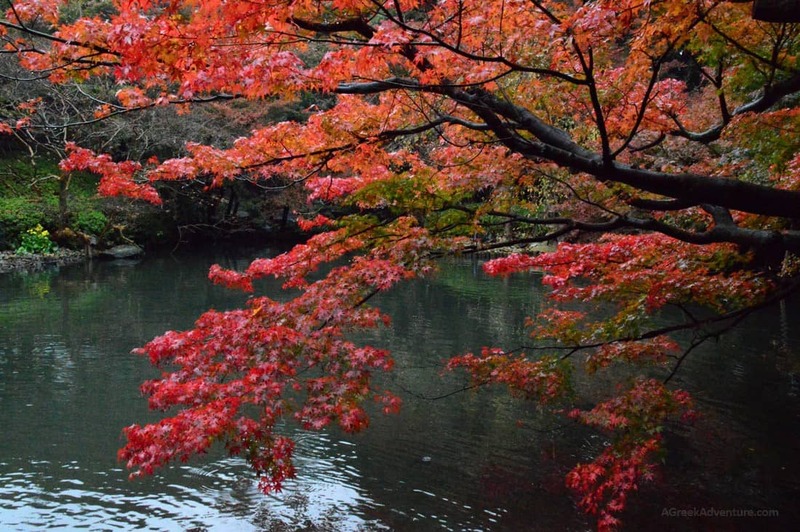 Supposing that you have only 1 day to spend in Tokyo what would you choose to do? We aren’t going to lie to you. 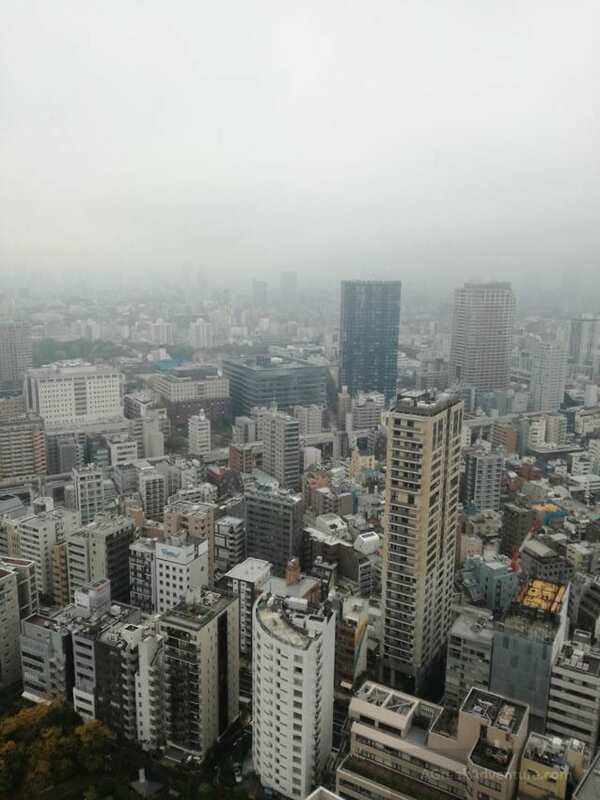 It’s impossible to see everything in 1 day in Tokyo. But you are going to have a good idea of it. 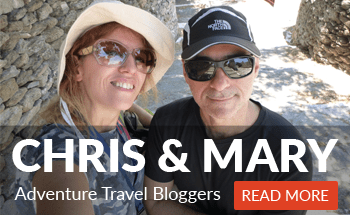 We joined a daily tour with travel companies that organize it and really didn’t disappoint us. In that way we visited many locations and points of interested. We got a glimpse of the must see places in Tokyo. 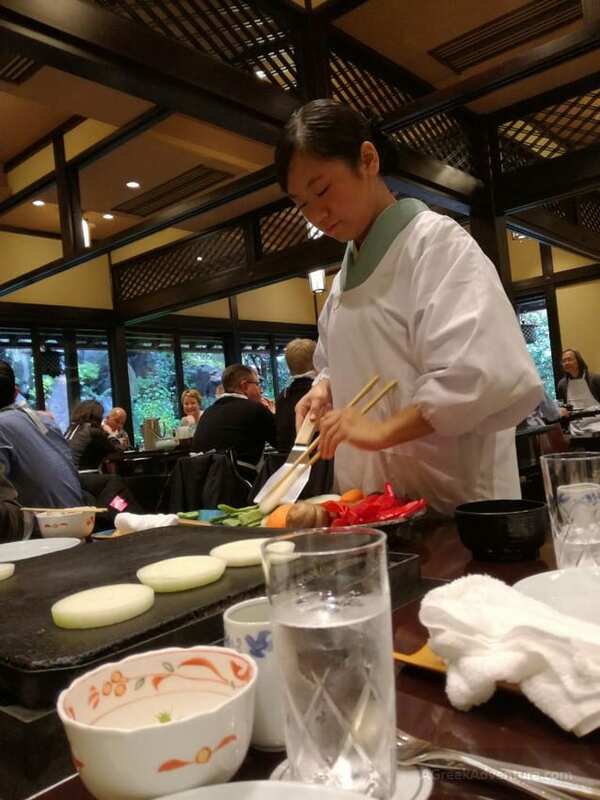 Overall impression for things to do in Tokyo? 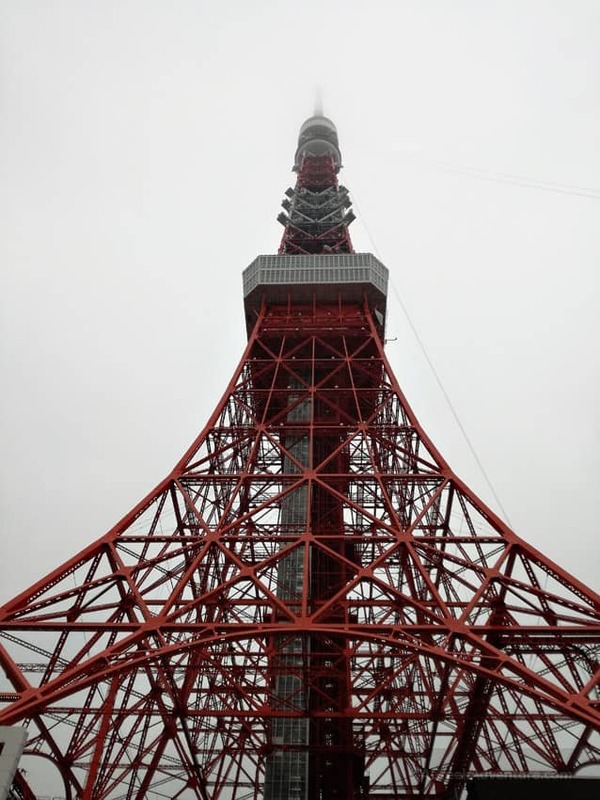 Do visit the Tokyo Tower. 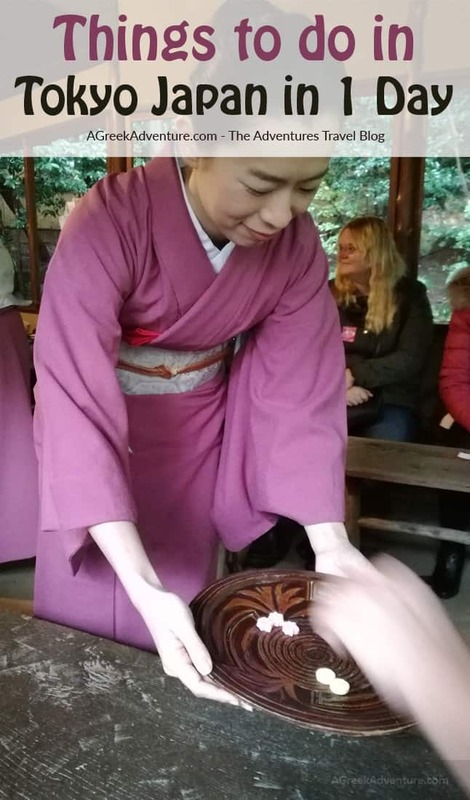 Enjoy a tea ceremony. Do taste local cuisine. 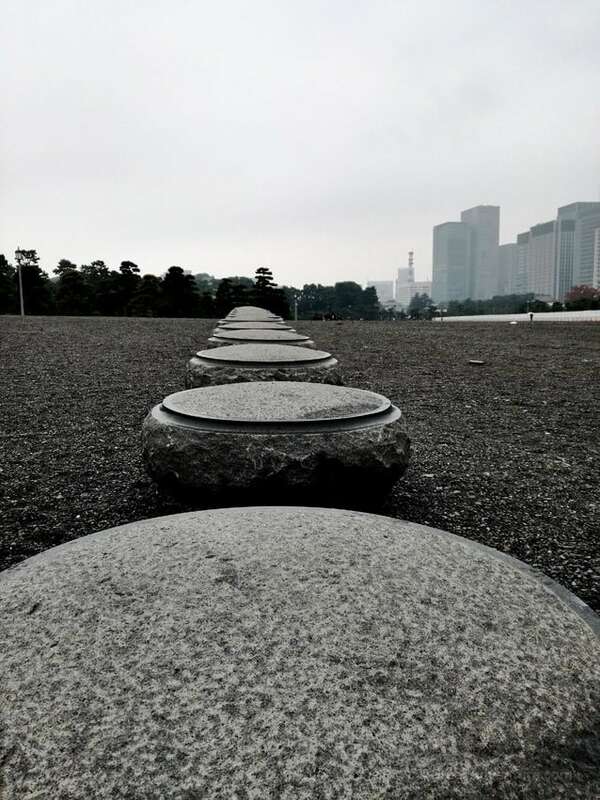 Do visit the Imperial Palace. 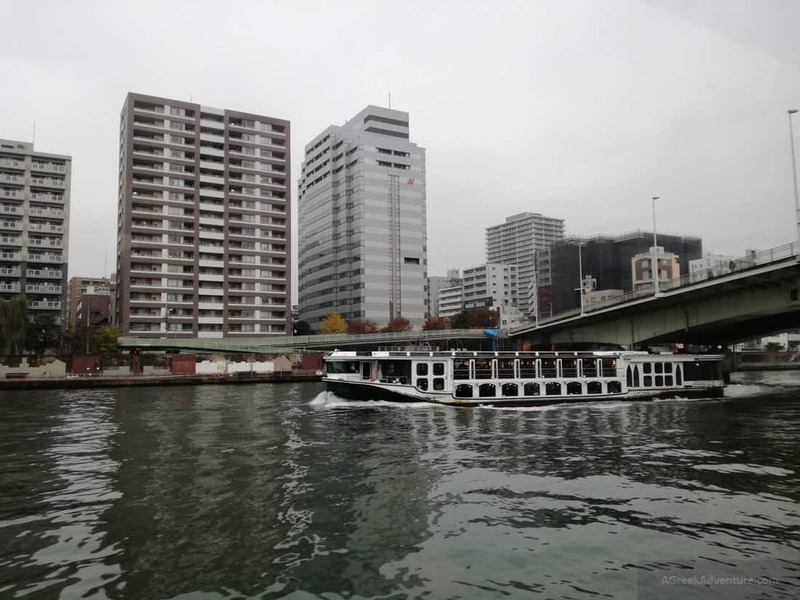 If you have the time, do the Sudima river cruise. 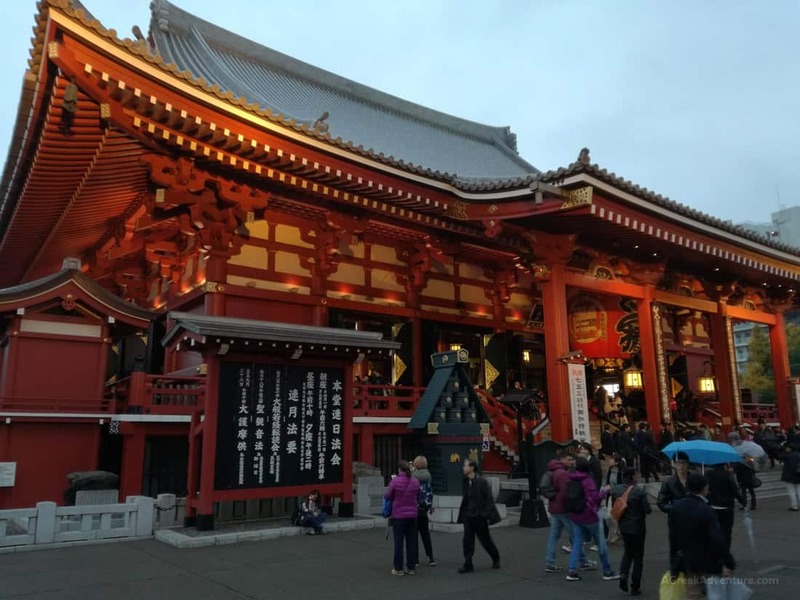 Last but not least do go for the Asakusa Kannon Temple. 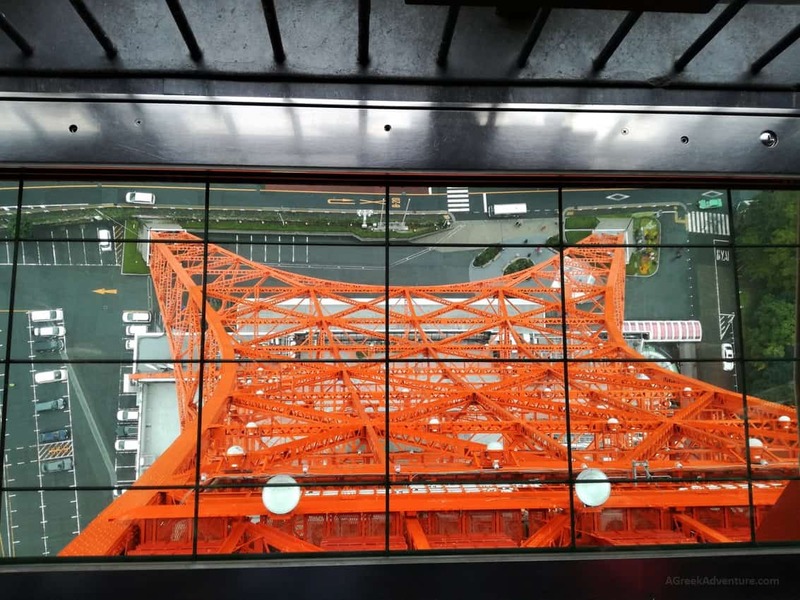 Start your day with a panoramic view of Tokyo from the main observation deck of the world’s highest self-supporting structure at 333m high. Enjoy the view. The day we went it was rainy and foggy but still the view was stunning. 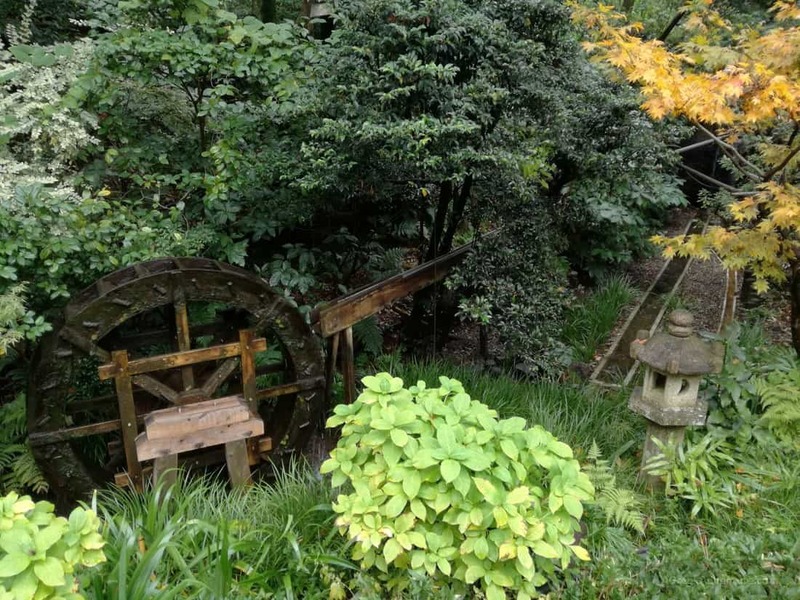 If you want a place full of serenity go to Happoen Garden in the Shirokanedai neighborhood. 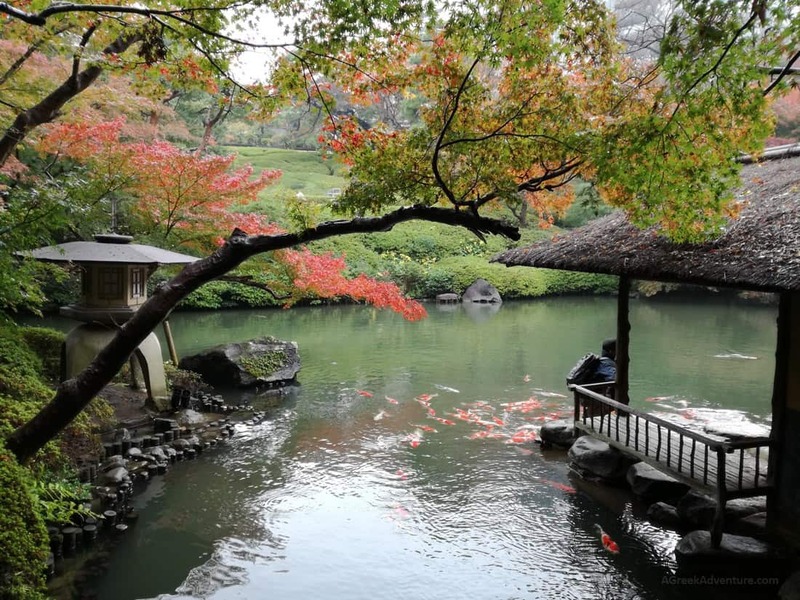 Stroll around and admire the ponds, the five hundred years old bonsai, Japanese maples, azaleas and of course, cherry blossoms. 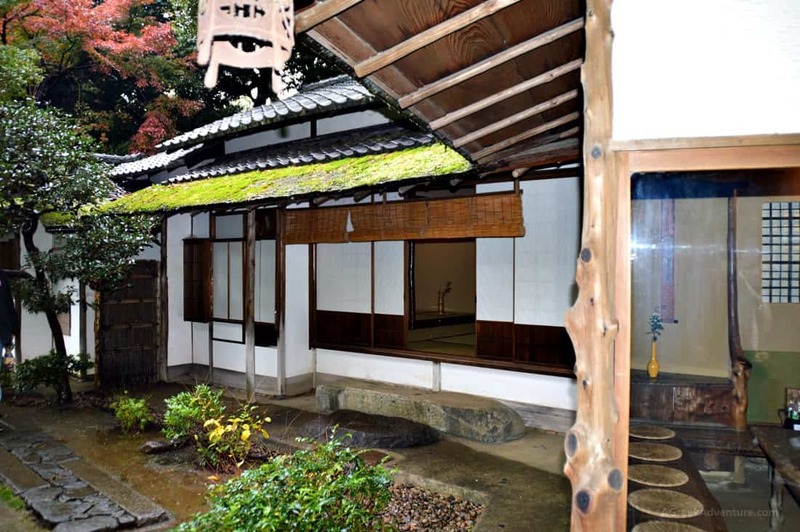 One thing that you must do there is to experience the Japanese tea ceremony. Tea for Japanese is culture. 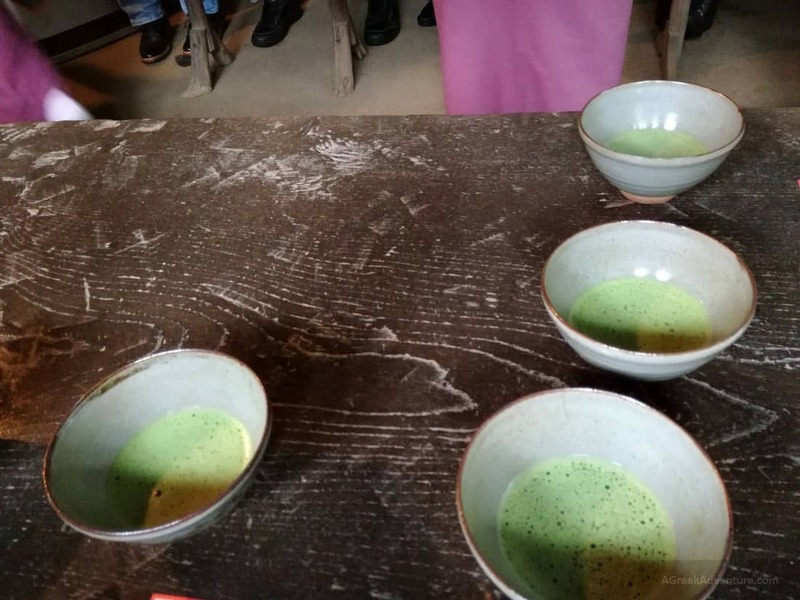 It involves the ceremonial preparation and presentation of matcha, powdered green tea. 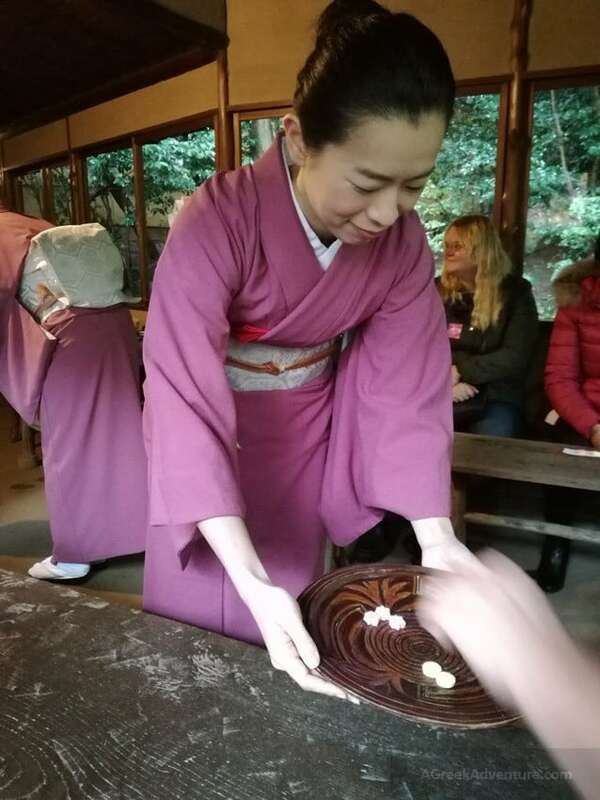 A woman in kimono greeted us and explained the rituals for the ceremony. She treated us with a sweet and she prepared the tea. 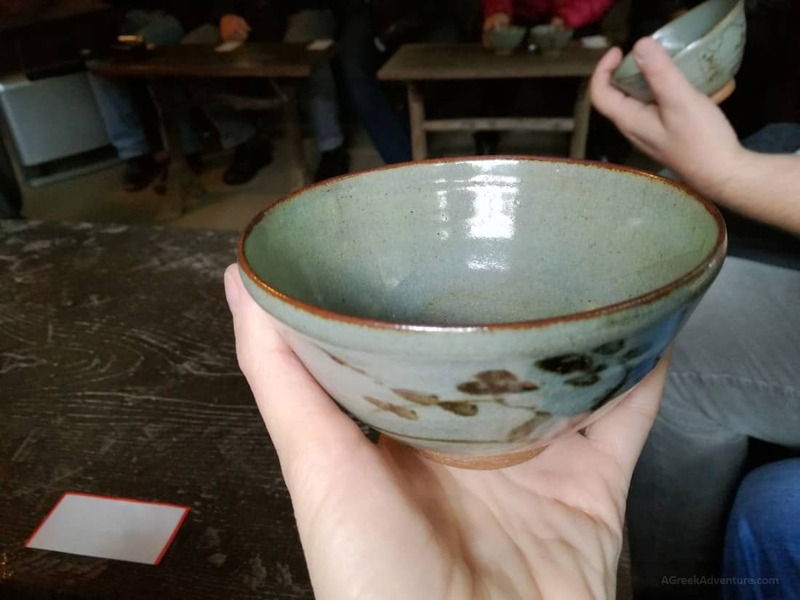 You had to take the bowl with your right hand and put it on your left palm and raise it and admire the picture on the bowl. It’s really a ceremony. You must show your appreciation. It was lunch time and we moved towards to Japanese Stone Grill MOKUSHUNDO. 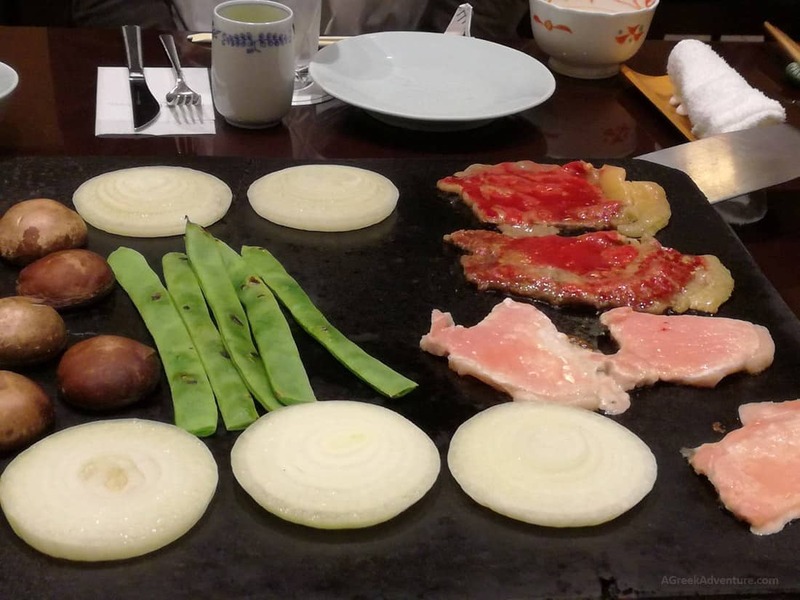 Mushrooms, onions, fresh beans, chicken, beef all of them are cooked in front of you on hot lava rocks from Mount Fuji. The lunch was very delicious. 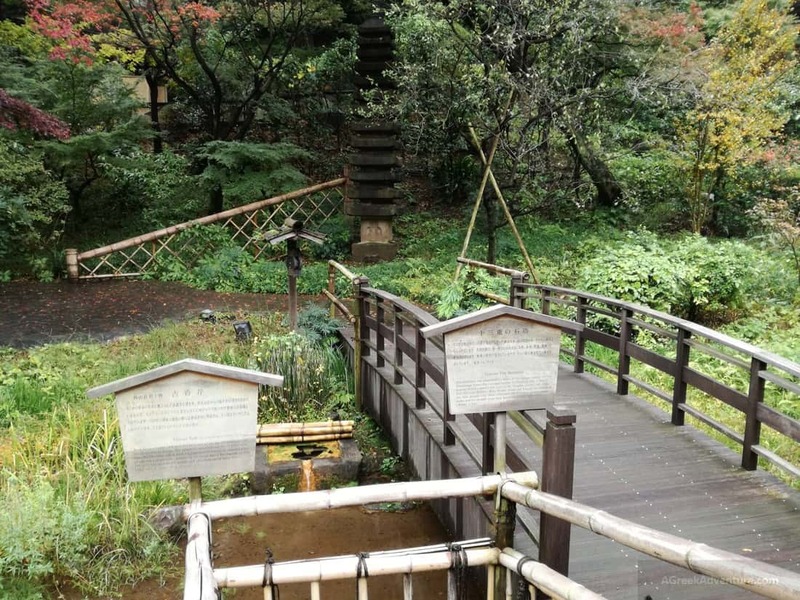 After lunch, don’t omit to stroll around to Chinzanso Garden and admire the 3-story Pagoda. 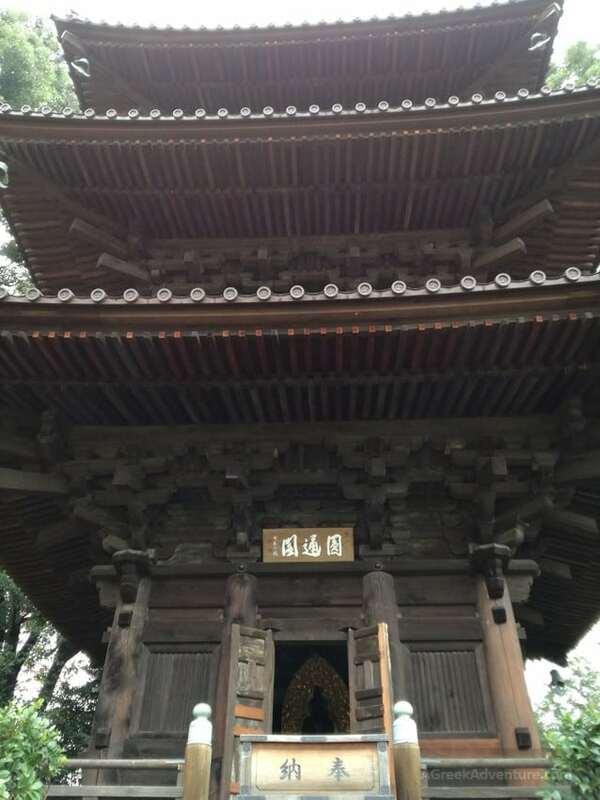 This pagoda was constructed in Hiroshima during the first half of the Heian period (794-1185). 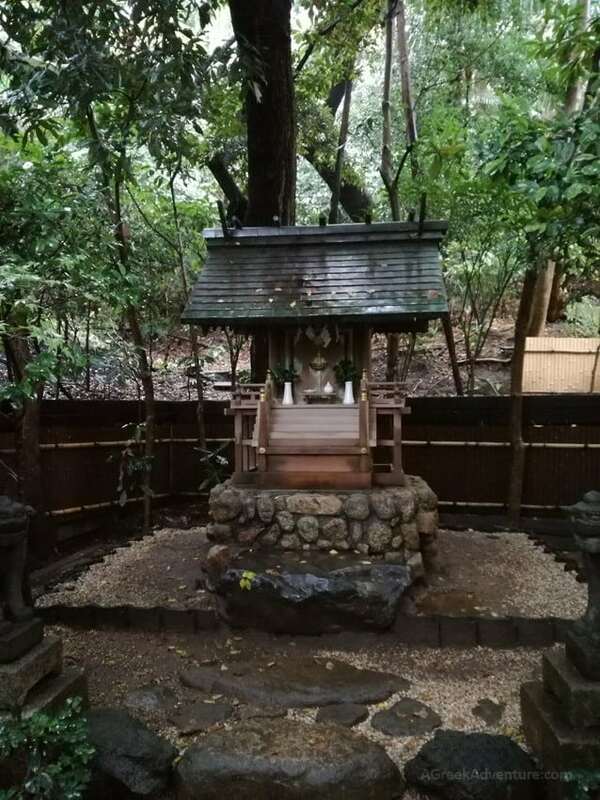 The pagoda was relocated in the garden in 1925. 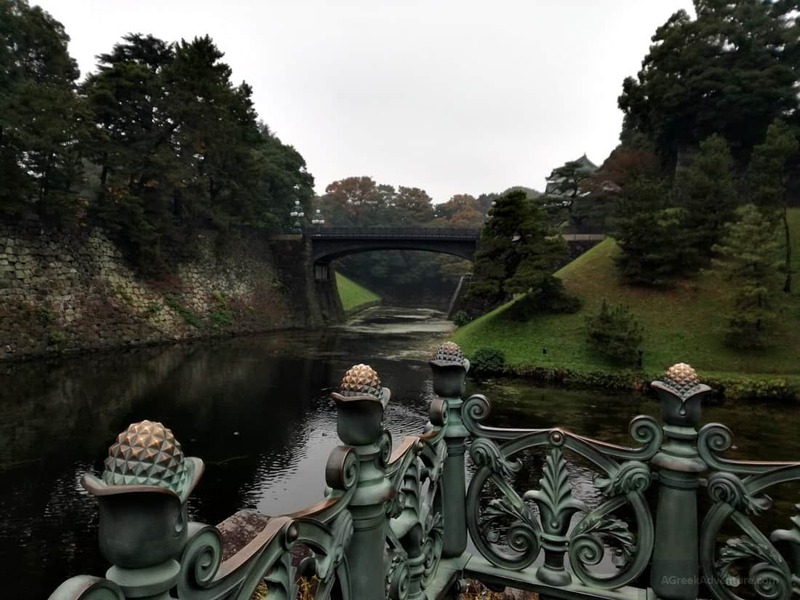 Tokyo Imperial Palace is the residence of Japan’s imperial family. 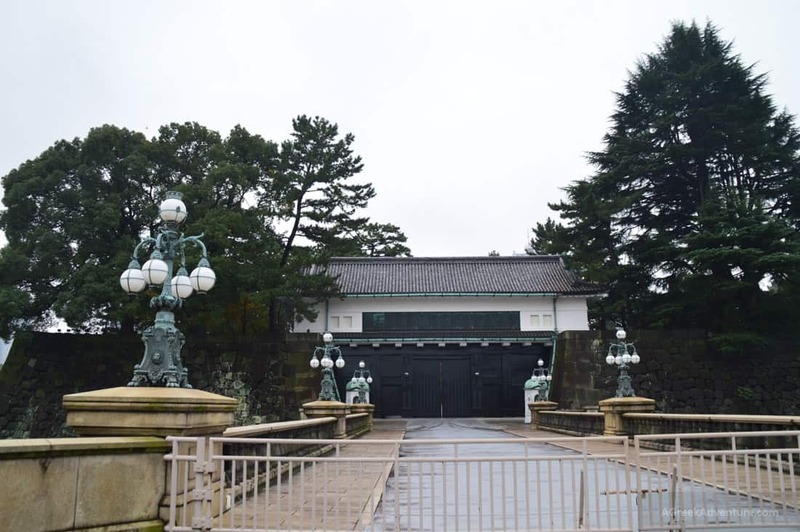 The inner grounds of the palace are generally not open to the public. 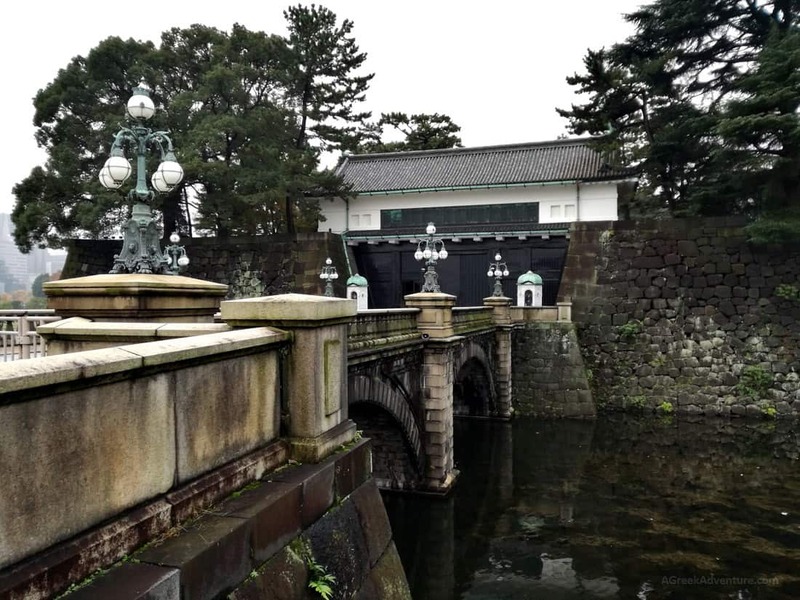 We visited Kokyo Gaien, the large plaza in front of the Imperial Palace to see the Nijubashi bridge. 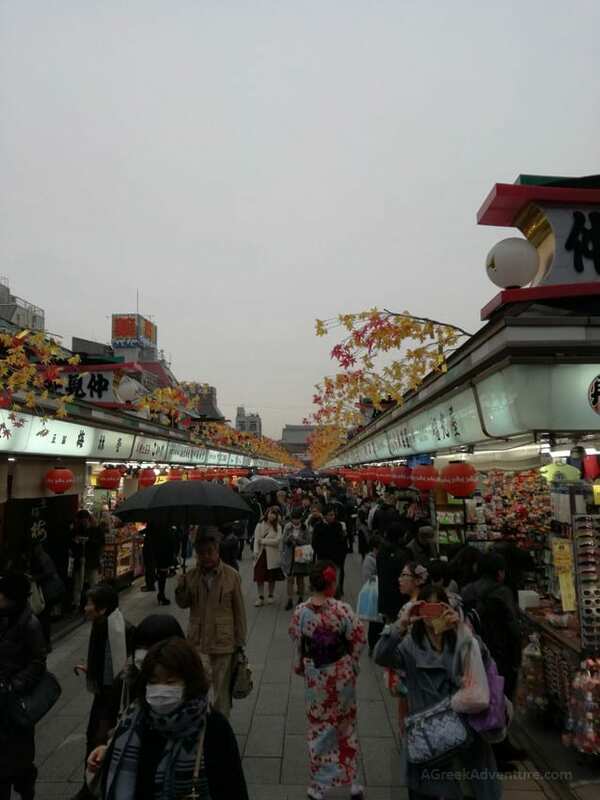 Nijubashi means the “Double Bridge” and it’s one of the most well-known bridges in Japan. It is time to explore Tokyo by the sea. Enjoy the photos of some of the locations we saw. 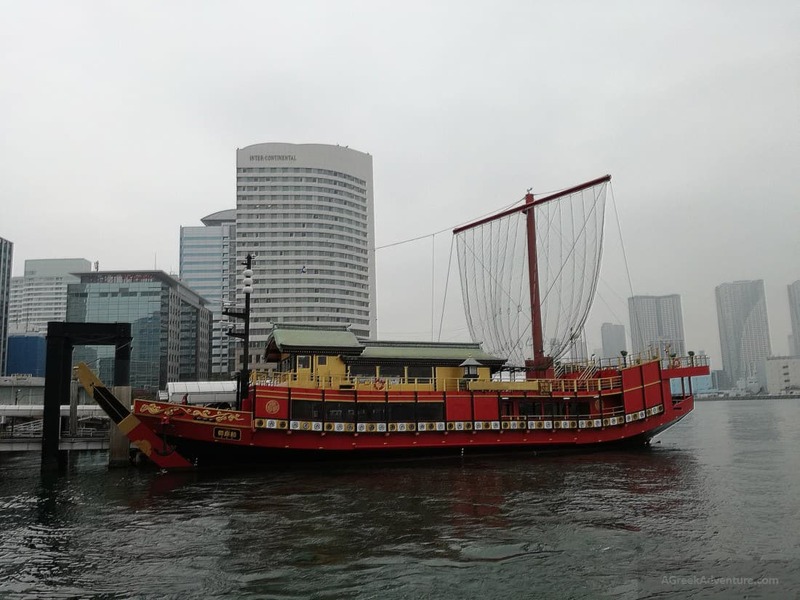 Below is the photo of our tour ship. 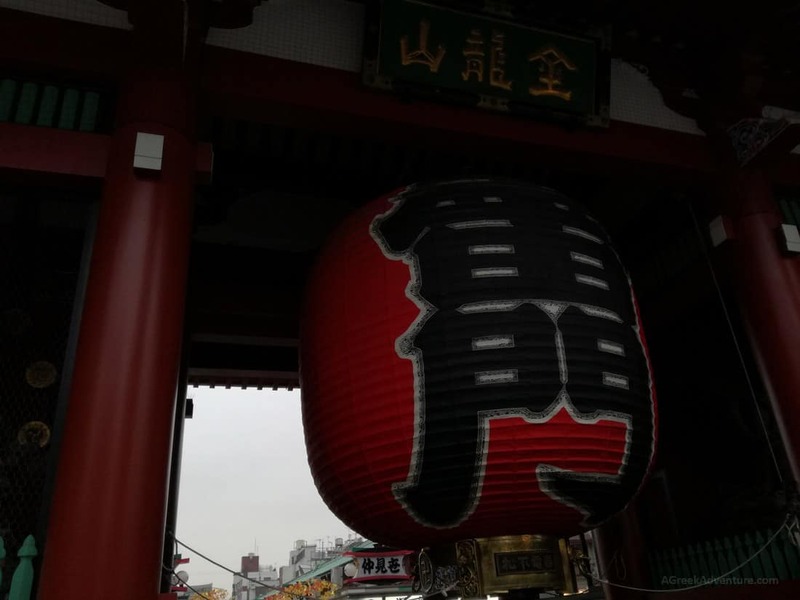 Asakusa Kannon Temple or Sensoji Temple is a Buddhist temple located in Asakusa. 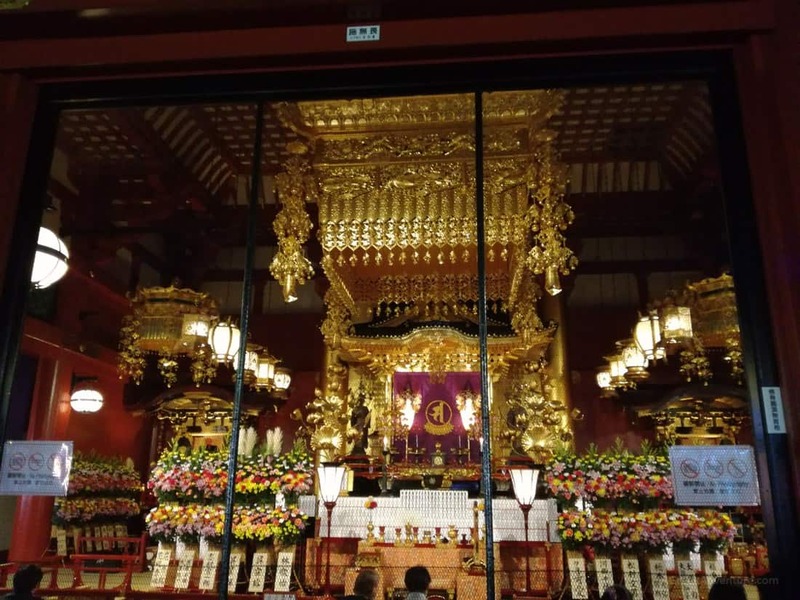 It is one of Tokyo’s most colorful and popular temples and the oldest one. It’s said to have been built in 628. 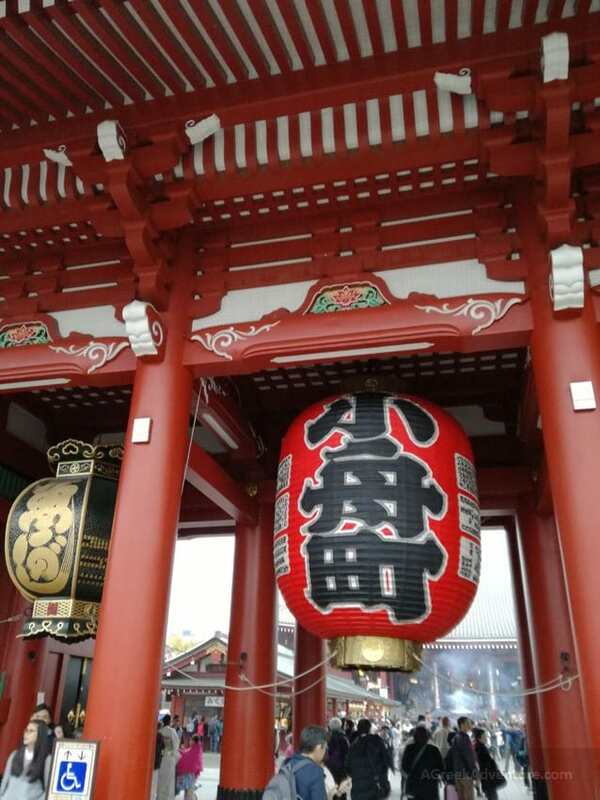 It’s famous for its main Kaminarimon Gate, where a giant lantern hangs. 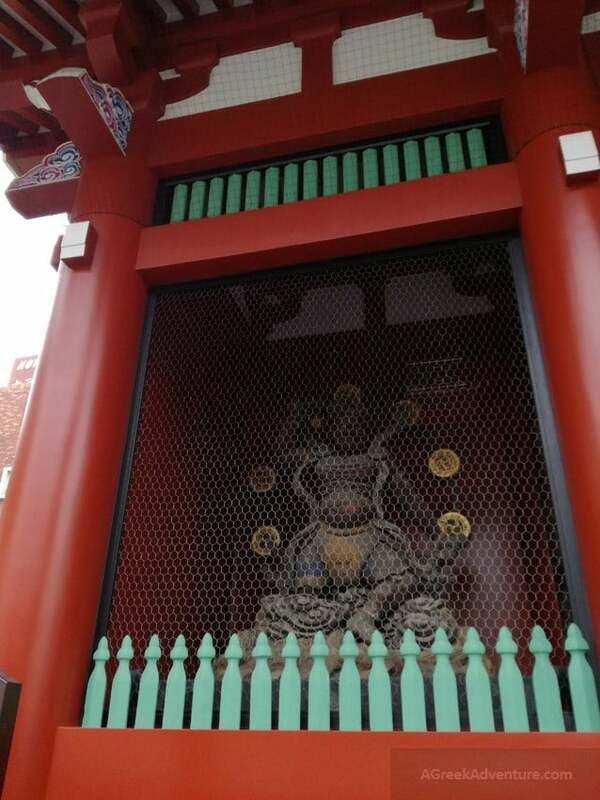 Inside the gate on either side are enormous wooden statues of the protective Buddhist deities Fujin (wind god) and Raijin (thunder god), from which the gate gets its name. 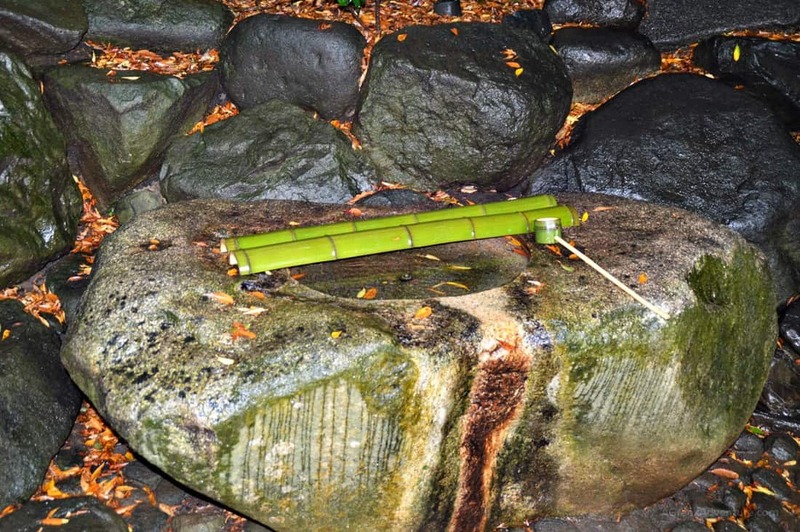 Alongside typical Japanese souvenirs and snacks can be found. 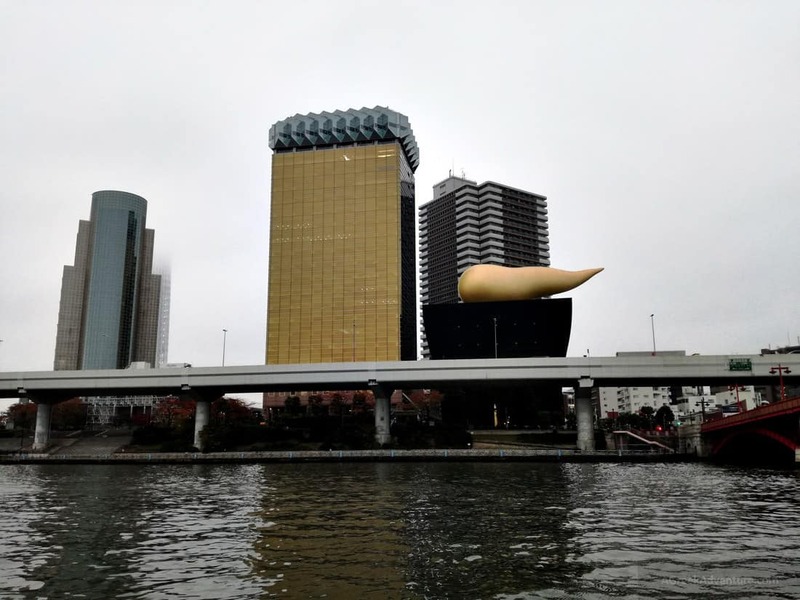 For Tokyo souvenirs, Start here! 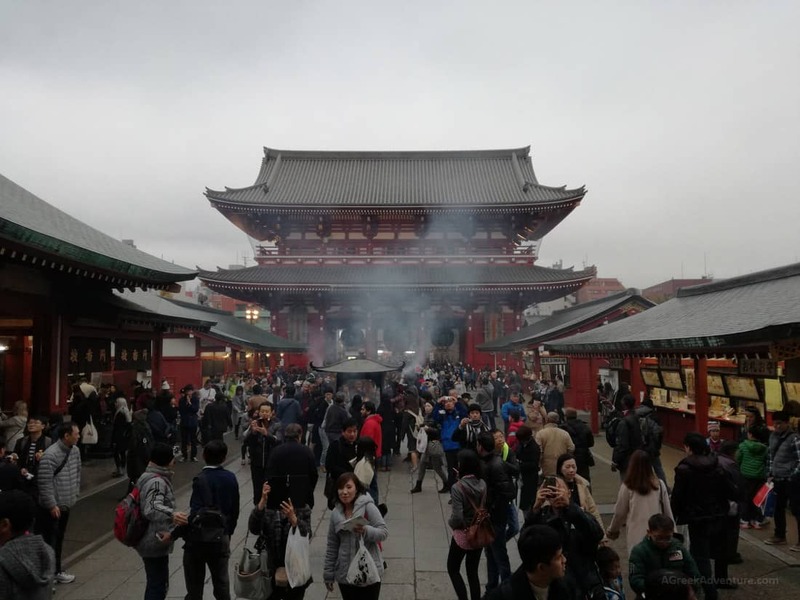 Once you finished paying your respects at SensoJi, allow some time to properly explore the district of Asakusa. We really loved Tokyo. It’s an imposing city and we are sure that we will go back for more days and for a full tour all over the Japan.